2 cups (480 ml) organic heavy whipping cream. Place cream into a Vitamix. Start at one and increase to high. Set to 5 and blend 5 seconds. Repeat stopping and scraping down sides until mixture flows easier and fluid appears. Blend a few seconds longer until solid butter starts to set up in the center and on blades. Place butter in a fine strainer to drain. 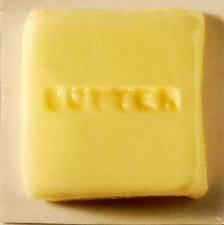 Remove butter to a bowl. Work butter with a spatula to remove as much liquid as possible. Heat 2# unsalted butter in saucepan until boiling. Lower heat to maintain rolling boil. Skim off the foam that condenses at the top. After 12-15 min, boiling will stop and you’ll hear a frying oil sound. Pour clarified butter into a glass container. Need a Vitamix or high speed food processor. 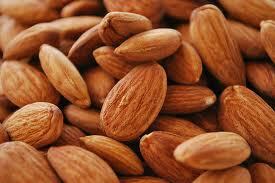 Add 1/4 cup (60 ml) olive oil to the nuts and start circulating. Add 1/4 cup more oil slowly if needed. Refrigerate and pour off excess oil the next day. 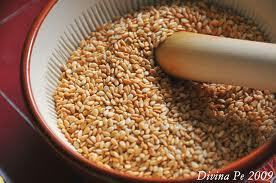 5 cups (640g) organic sesame seeds lightly roasted. To roast raw seeds, place raw seeds in a flat pan. Bake at 350* for 5 minutes or until lightly brown. Blend in a vitamix for 1-2 minutes or until the consistency of peanut butter.